Do you know the type of skin you have? As dermatologists, we often find that many p atients don’t know the type of skin they have or know how to determine the type of skin they have in the first place. However, knowing the type of skin you have is crucial. Your skin type greatly influences the types of products, treatments, and lifestyle changes we as dermatologists may recommend. 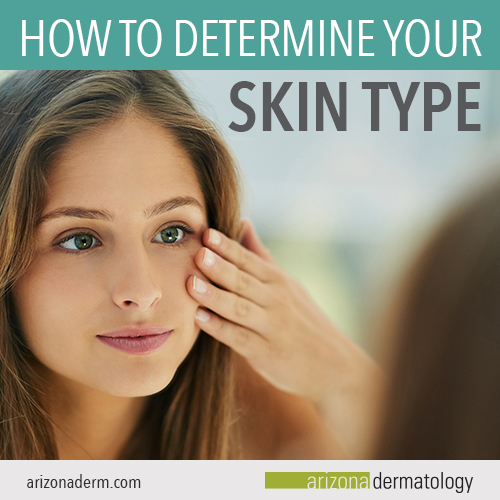 Here, we’re covering how you can determine your skin type. After determining your skin type and understanding the differences between each type, we’ll help you form a clear plan of action based on your skins’ individual needs. One easy method for determining your skin type is the 30-minute skin test. To perform this test, thoroughly wash your face, removing any previous products. After, wait 30 minutes. During this time, refrain from applying any other products to your skin. After the 30 minutes are up, examine your skin in the mirror. If you’re having trouble distinguishing your skin type, our experts can help. Schedule an appointment today. After determining your skin type, you can begin looking for products, ingredients, and treatments to help or heal the symptoms of your skin. Most patients associate oily skin with puberty or hormonal changes that occur in the teen years. However, oily skin can appear at any age and is often genetic. When you have oily skin, the skin is prone to accumulating layers of dead skin. This makes exfoliation an important part of your treatment plan. Treatments like chemical peels can remove this dead skin effectively, ultimately decreasing the oil production you see on your skin. With oily skin, we recommend using light products made of gel or liquid formulas. Heavy creams and lotions will likely clog your pores, causing your skin to become even oilier. Additionally, since oily skin is prone to breakouts, we suggest looking for products labeled as non-comedogenic. Non-comedogenic products will be less likely to clog your pores or cause acne. A common misconception to oily skin is that you don’t have to moisturize. In reality, moisturizing is just as important for oily skin as it is for dry skin. Oily skin is often the result of your skin reacting to a lack of moisture. Skin often tries to compensate for the lack of moisture, which leads to overproduction of oil. Moisturizing your skin daily can reduce oil production and help keep your skin matte. As you moisturize your skin, we recommend products that are thin, lightweight, and marketed as oil-free. These types of moisturizers will be most effective for combatting oily skin. Dry skin can be uncomfortable and potentially even embarrassing. Dry skin is associated with itching, burning, cracked, or flakey areas of the face or body. This type of skin has many causes, and is unfortunately often a lifelong struggle for many patients. Hydrating and moisturizing your skin is essential to curbing dryness. We recommend applying moisturizers right after you shower, when your face and body is still damp. Applying moisturizer when your skin is wet helps the moisturizer sink into your skin for maximum effectiveness. While dry skin can be a difficult type of skin to treat, there are several easy lifestyle changes you can make to improve the appearance of dry skin. Use a humidifier: In Arizona, the air is very dry with little to no moisture, which can cause your skin to dry out. Using a humidifier can replenish the moisture back into the top layer of your skin. Limit hot showers: While a hot shower can be relaxing, it often dries out your skin. It’s best to take a shower that’s lukewarm to avoid stripping your skin of moisture. Stop scrubbing: Avoid scrubbing your face with a towel or wash cloth. The scrubbing can increase flaking. Instead, we recommend patting or gently rubbing the skin to avoid irritation. If your dry skin doesn’t improve with consistent moisturizing, effective products, or lifestyle changes, the cause of your dry skin may be a medical condition. If you suspect your dry skin is caused by a medical condition, schedule an appointment to meet with one of our specialists. Sensitive skin may feel painful or tight and is commonly associated with redness or other signs of irritation. Products, water, and environmental factors easily irritate sensitive skin, making it a frustrating condition to live with. If you have sensitive skin, your skin is likely to react to many ingredients and common irritants. Because of this, it’s important to look for products with as few ingredients as possible. This lessens the chance that you’ll experience a reaction, and even if do experience a reaction, you’ll be able to easily identify the ingredient responsible. For those looking for products with minimal, effective ingredients, we recommend brands like Eucerin, Cetaphil, CeraVe, or Vanicream. These brands tailor to sensitive skin types with their gentle formulas. If you have sensitive skin, we recommend patch testing. Patch testing involves applying a product to a small area of your face, like your jawline. After application, you’re to wait for a period of time to see if the product causes a reaction. 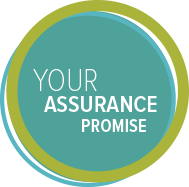 Patch testing products allows you to see how your skin reacts to particular ingredients, without running the risk of a reaction over your entire face or body. Combination skin is exactly what it sounds like—skin that has a combination of both dry and oily areas. Commonly, the oily areas are confided to the T-zone, which is the area around your nose, chin, and central forehead. The dry areas usually appear on the cheeks and chin. Treating combination skin can be tricky. It’s important to find the perfect balance between hydrating your dry spots and mattifying your oily spots. In most instances, we’ll recommend “dividing and conquering.” Or, in other words, caring for different parts of your face with different products. For example, you may apply a heavier moisturizer to your cheeks, while simultaneously applying mattifying serums and acne fighting ingredients to your oily T-zone. If you’re looking for more information about your type of skin, we’re here to help. Schedule an appointment today to get all your skincare questions answered.